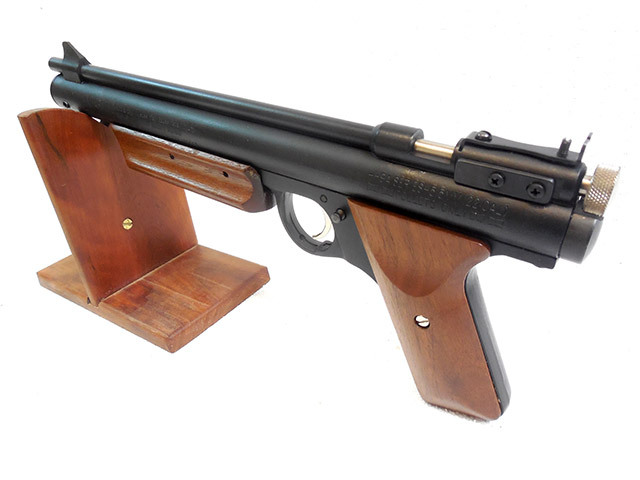 This is a great looking air pistol with the original box. 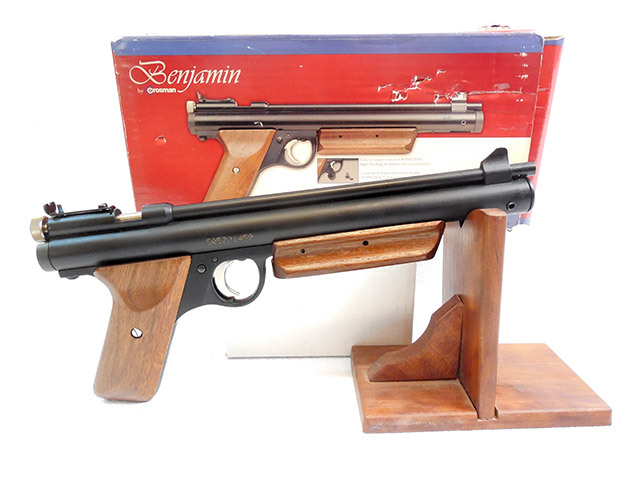 The Benjamin HB22 is a .22 caliber, bolt action, single shot, multi-pump pneumatic. 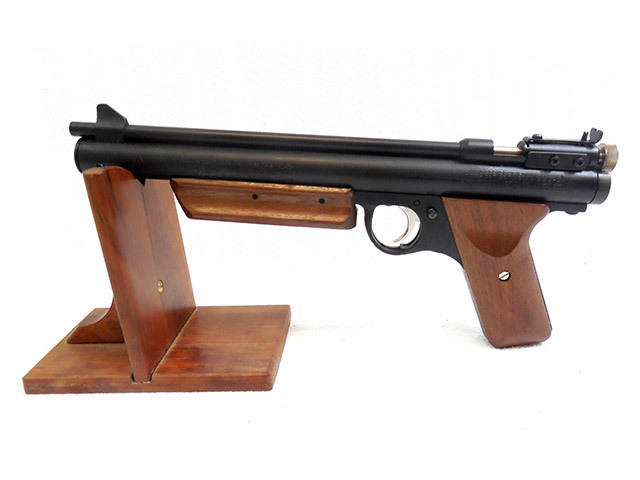 It also has a wooden grip, and pump handle. 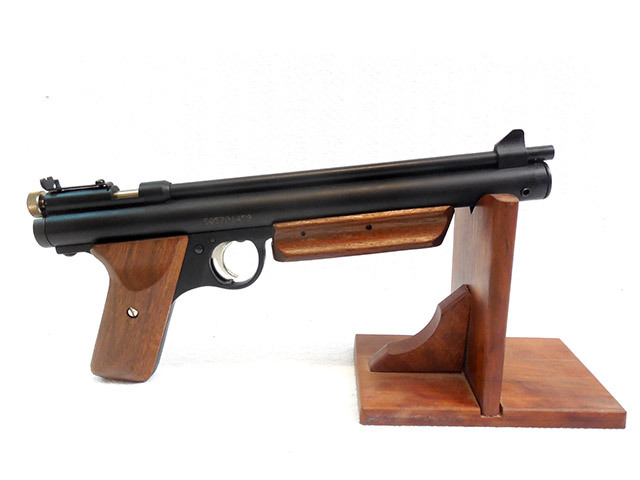 We tested the velocity on this one using lead pellets in our shop, and it shot at 373 fps. 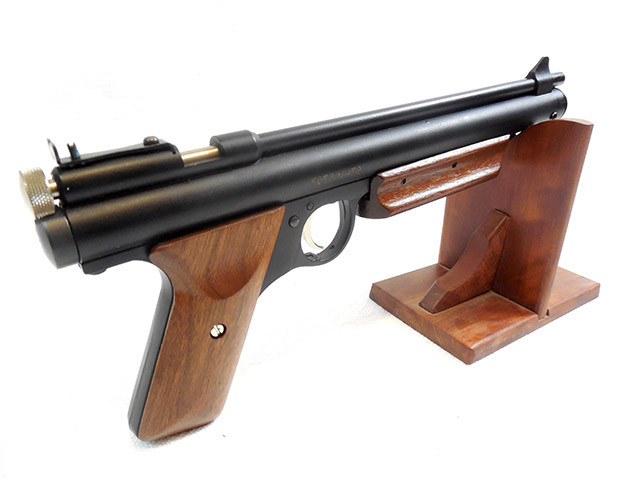 This is a great looking, and good shooting pellet pistol.